I have been steadily working on a big giant tavern project, here are some Work in Progress pics. 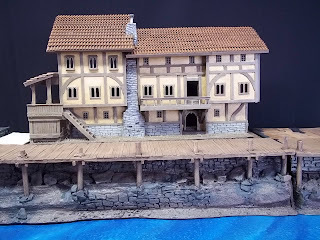 Most miniatures gamers who like fantasy stuff will at some point desire a tavern for tavern bralws. 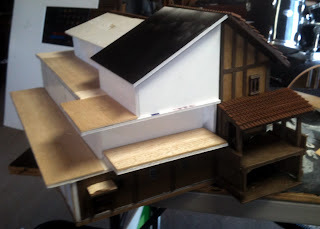 This piece started as a facade for a table edge, almost dollhouse style, and has since developed in to a 3 piece behemoth. 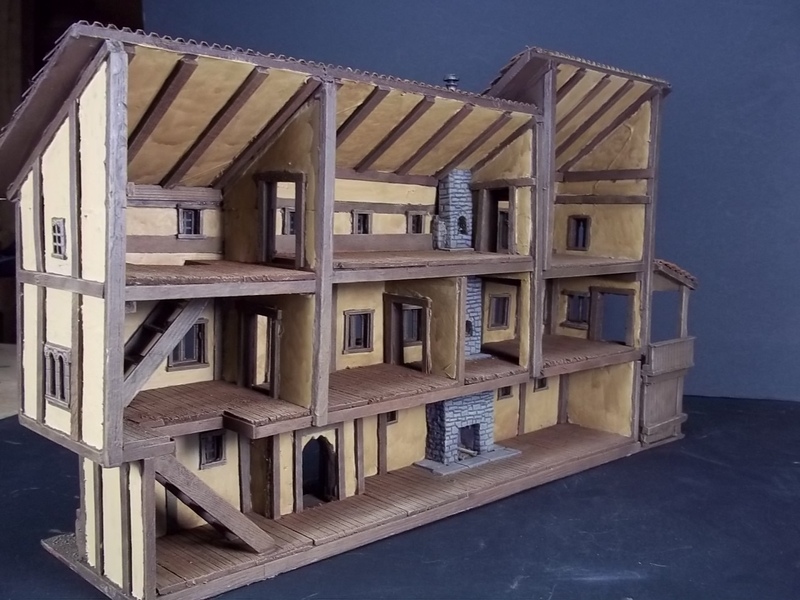 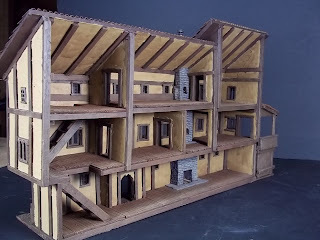 The Tavern has been designed in 3 sections: a facade, an open floor, and a single top piece to combine them. 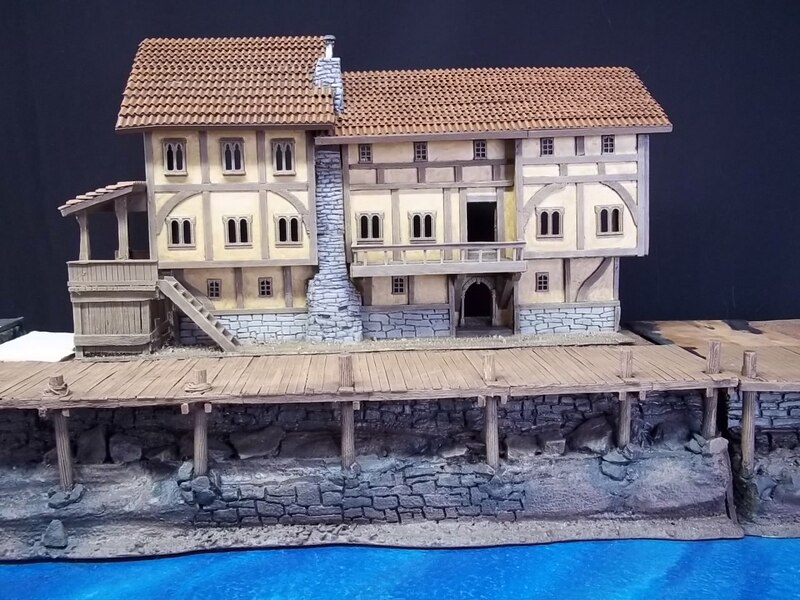 The Final part of the which tavern is pictured here, is designed to be a self standing piece as well. 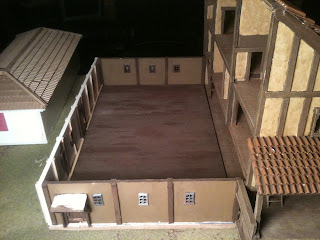 Both the facade and the top piece are made so that they can be used as table edge terrain.